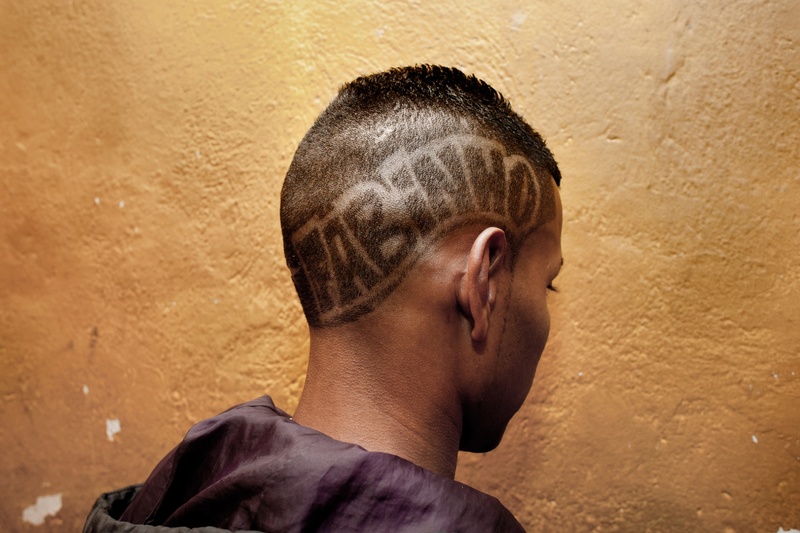 Book published in 2013 with Lannoo. 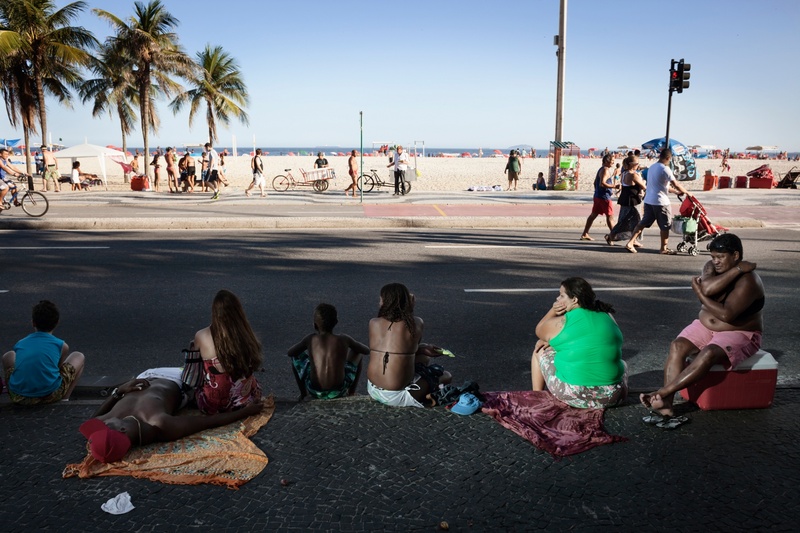 Rio de Janeiro has always had a bad reputation when it comes to safety. 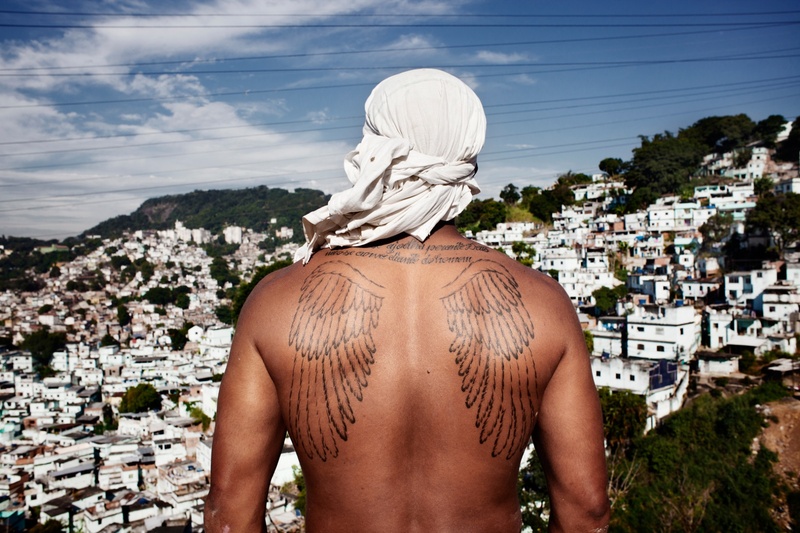 One of the reasons are the many favelas which are ruled by druglords. 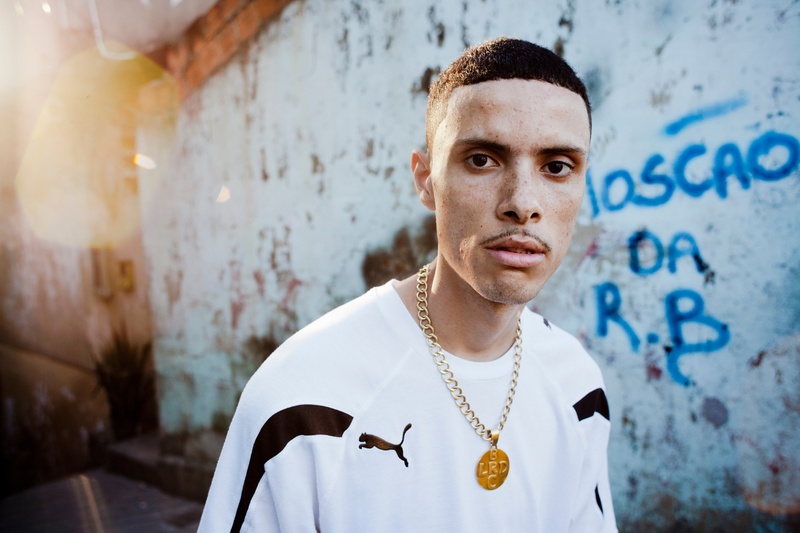 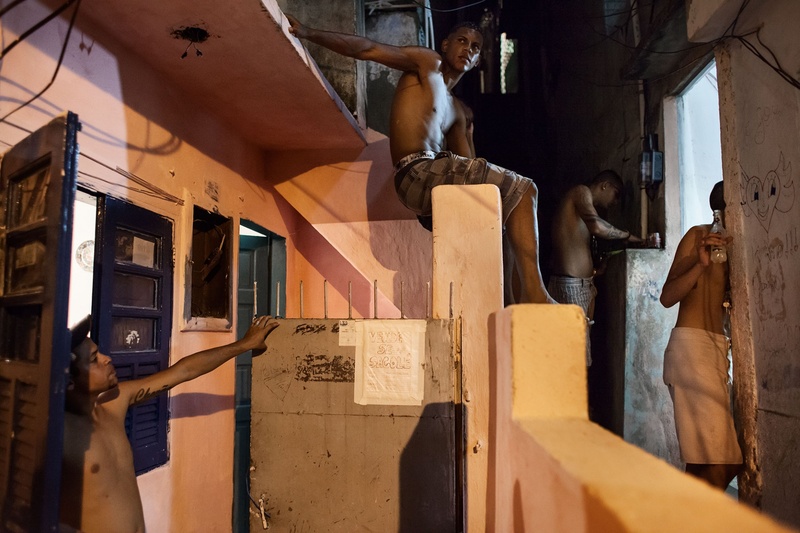 These slums, where drugs and guns are daily reality, often only are separated by one street from one of the richest and most exclusive areas of Rio de Janeiro. 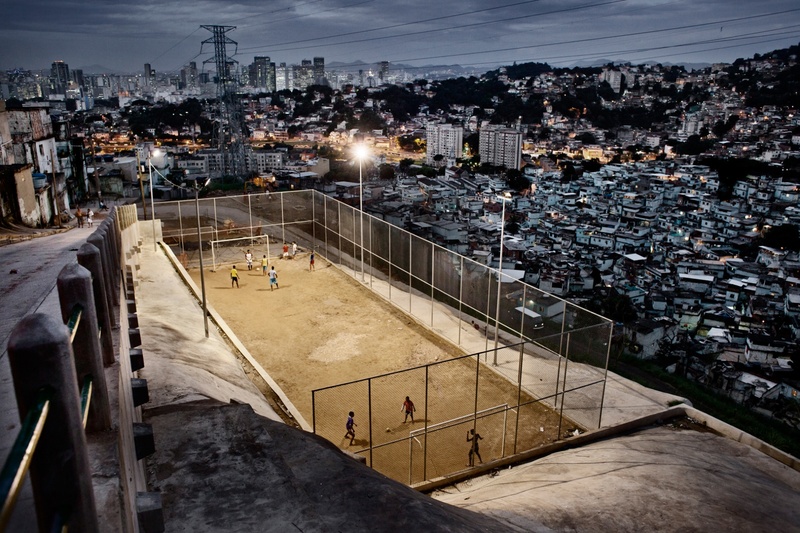 Now in some favelas this finally has come to an end. 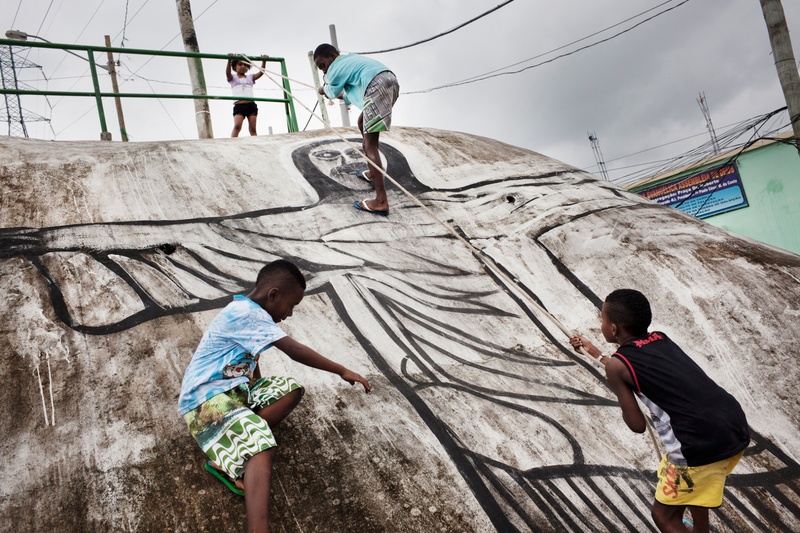 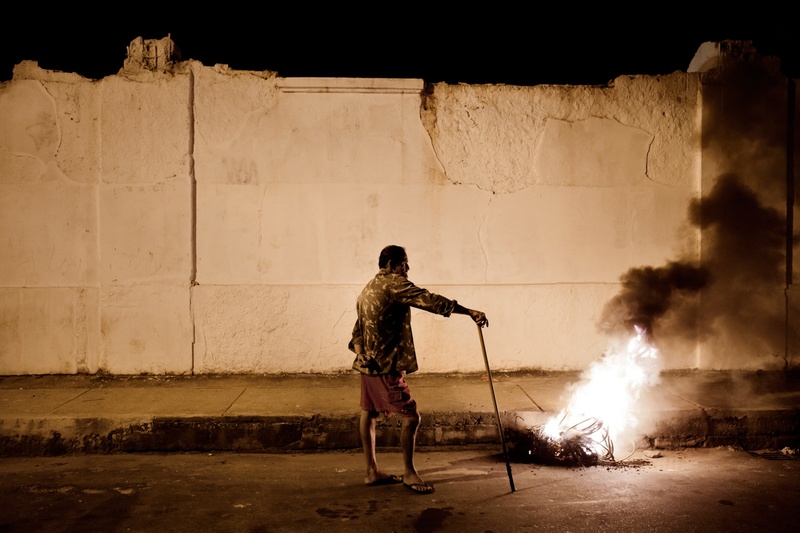 With the World Cup coming to Rio in 2014 and the Olympics in 2016, politicians chose a strategy to clean up the favelas to give the city an image boost. 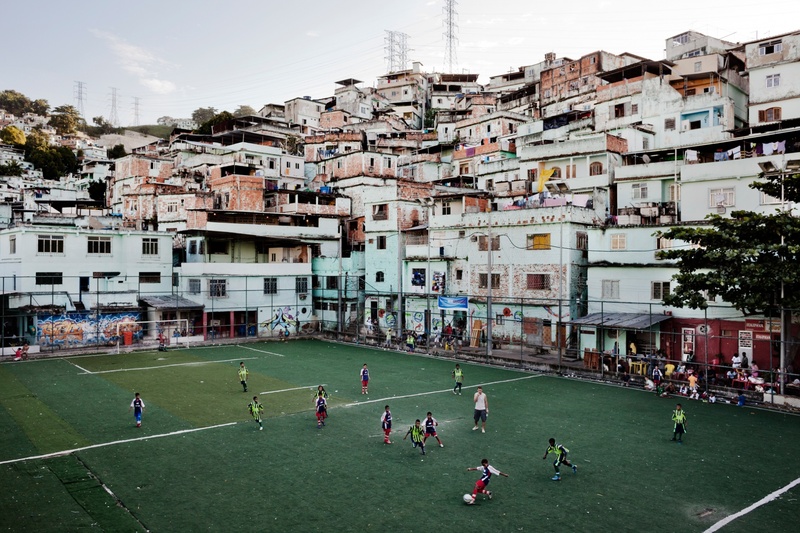 The last few years all around the city favelas are getting pacified. 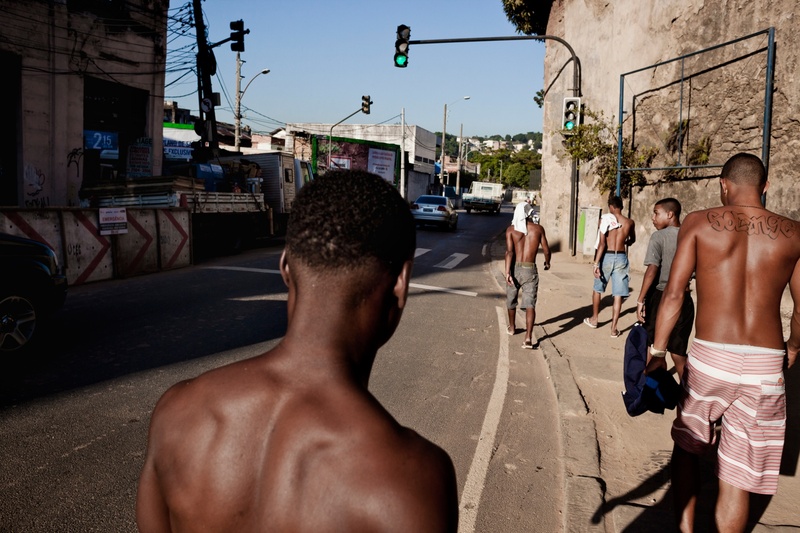 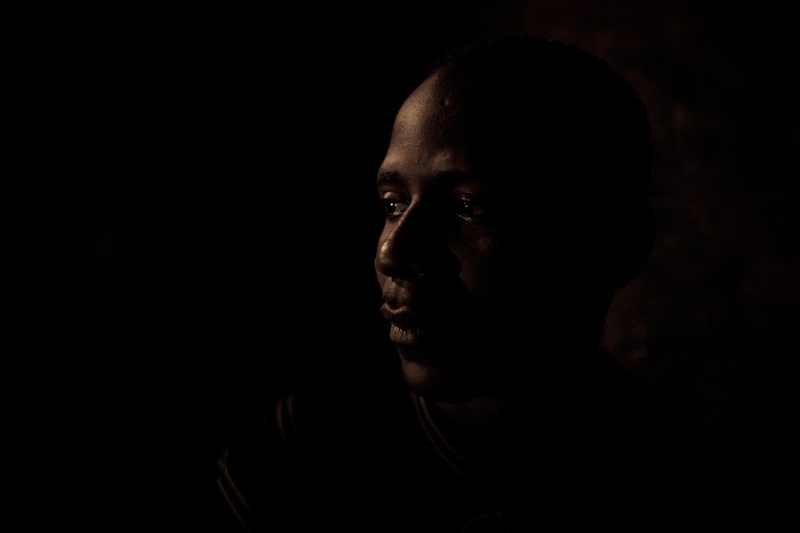 The pacification starts with special police forces, often assisted by the army, taking over control in the favelas. 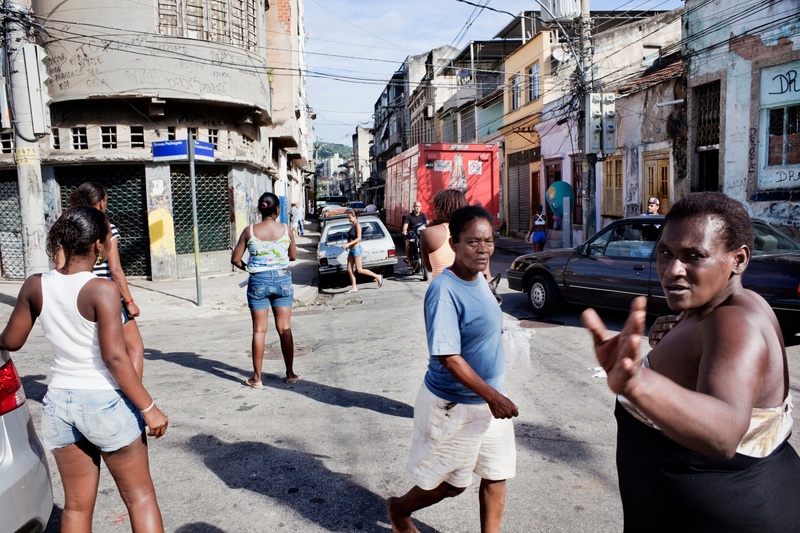 This eventually results in peace and public safety for the locals and in a further stage improving infrastructure of the favela. 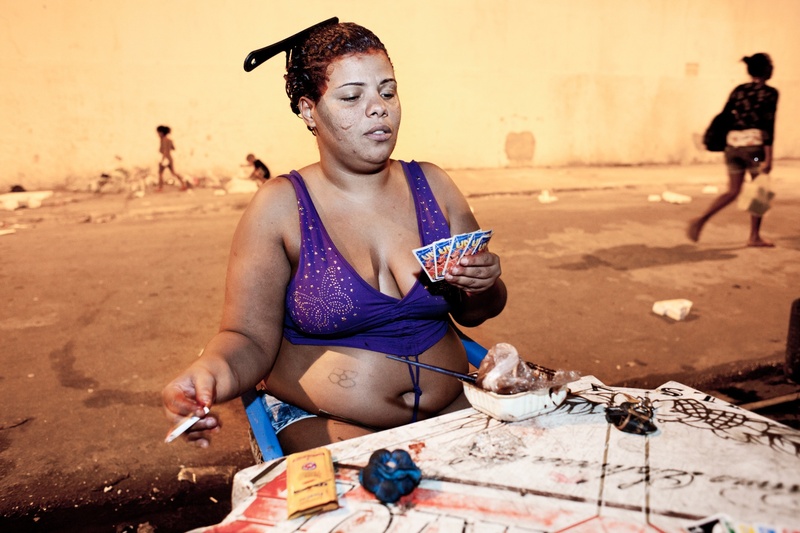 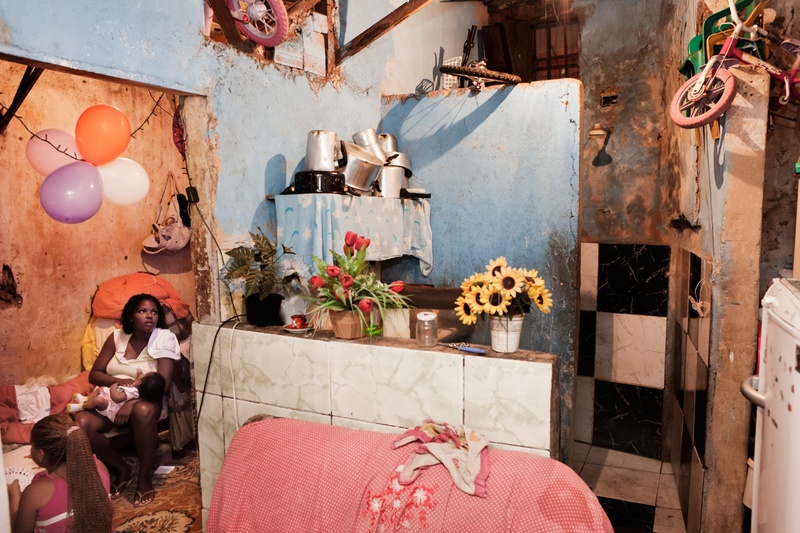 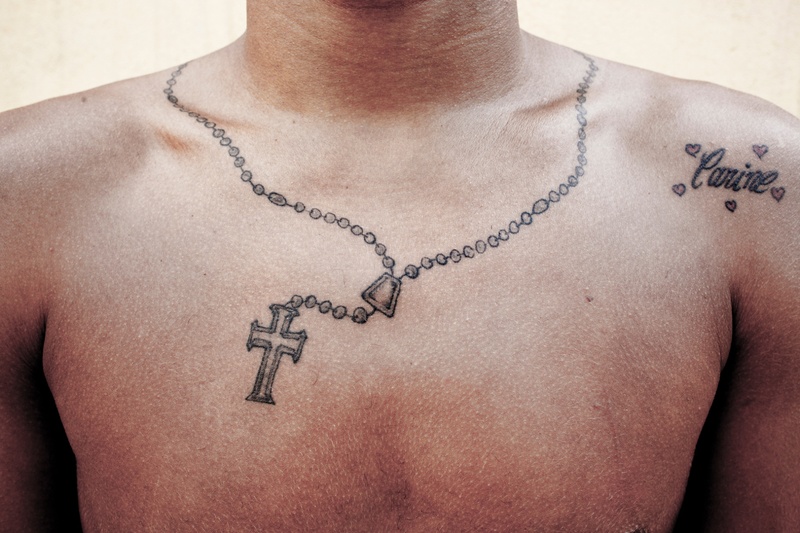 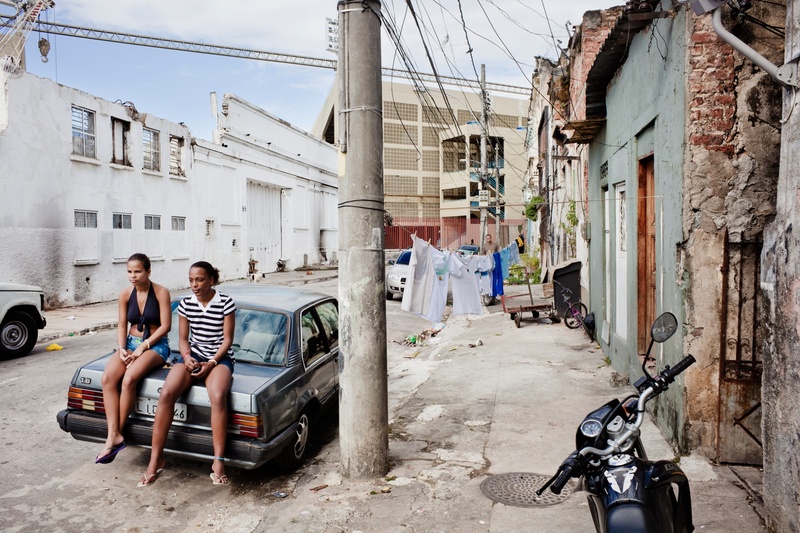 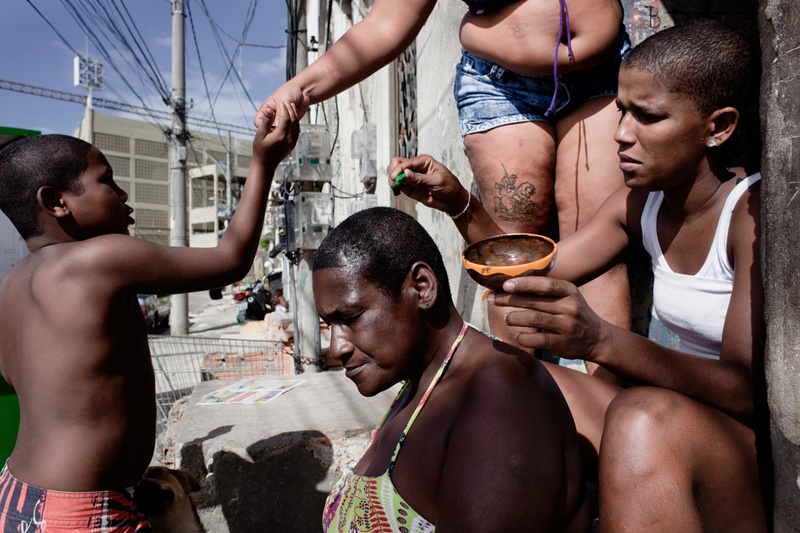 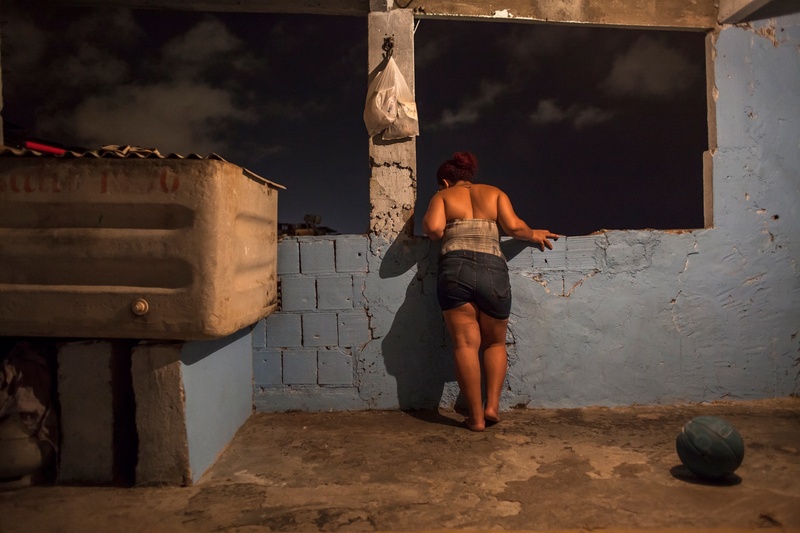 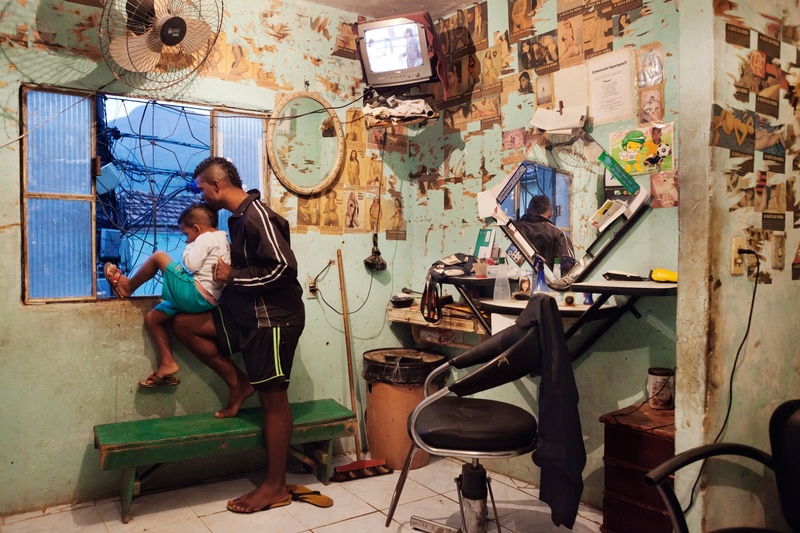 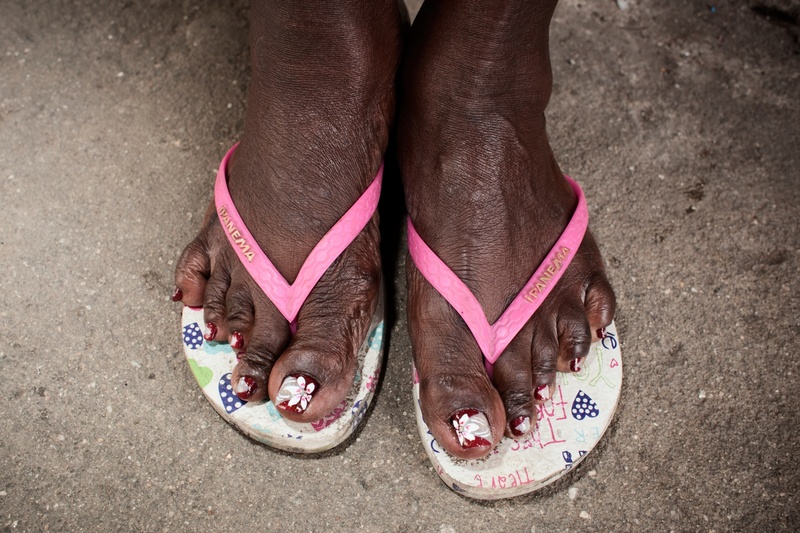 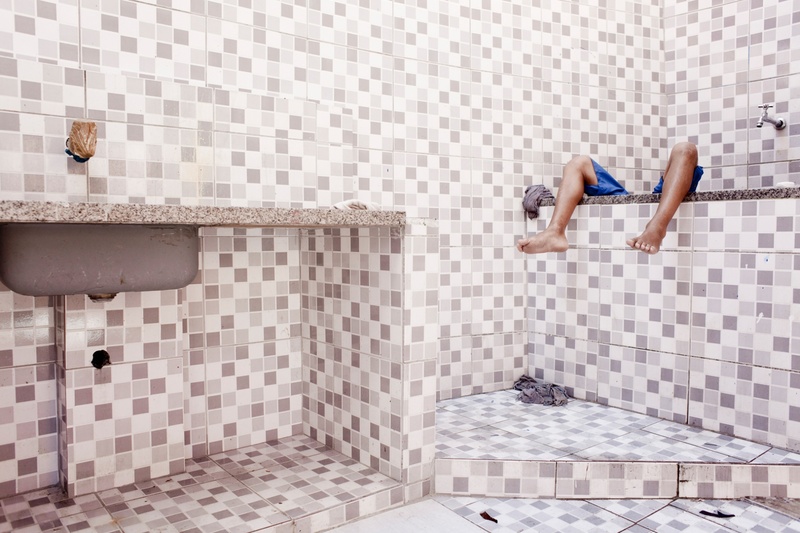 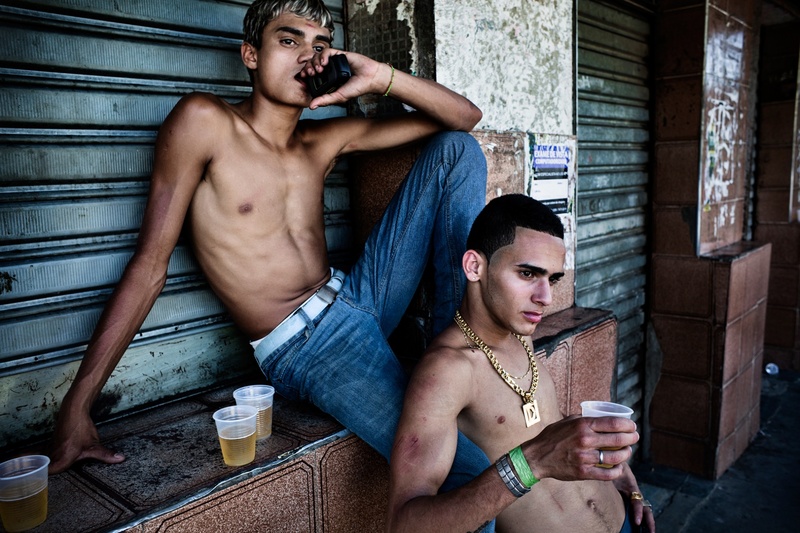 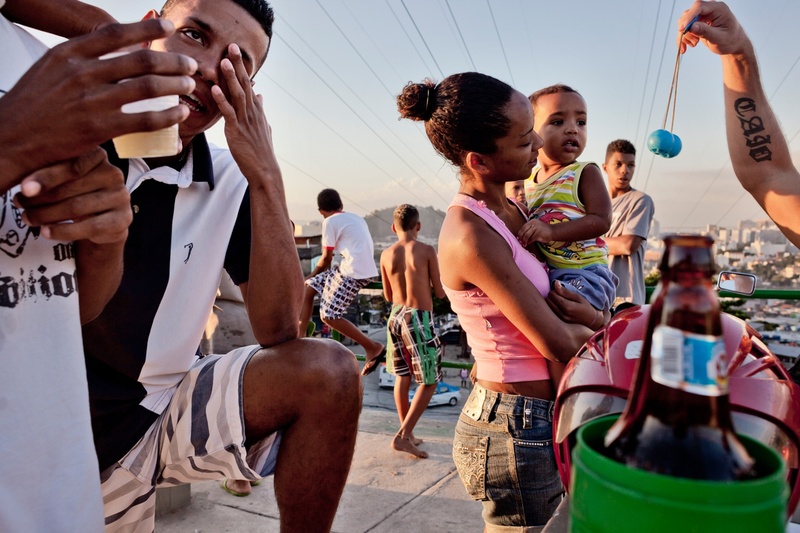 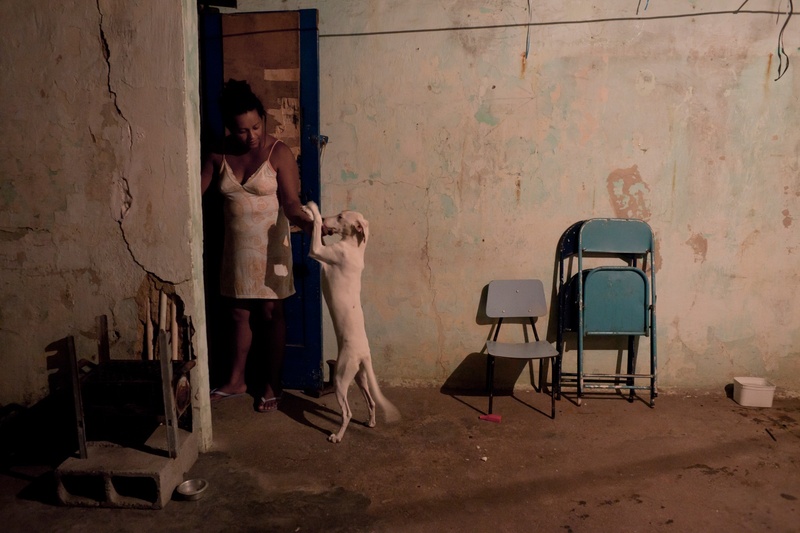 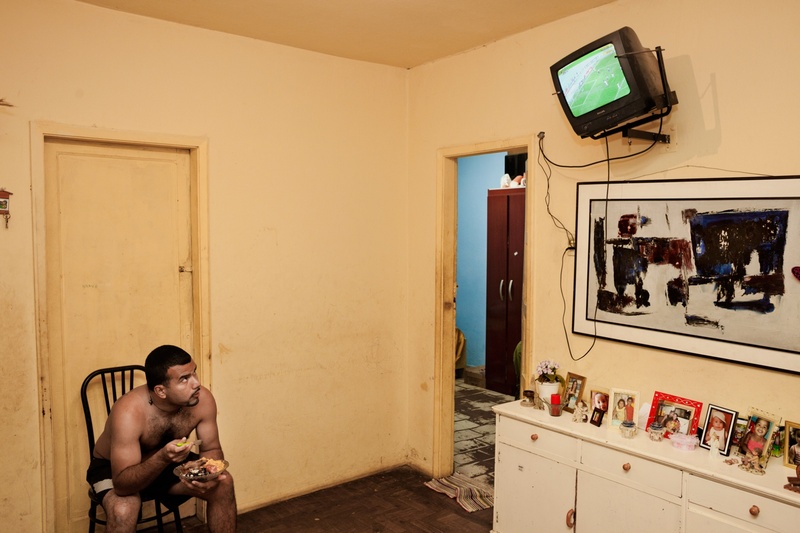 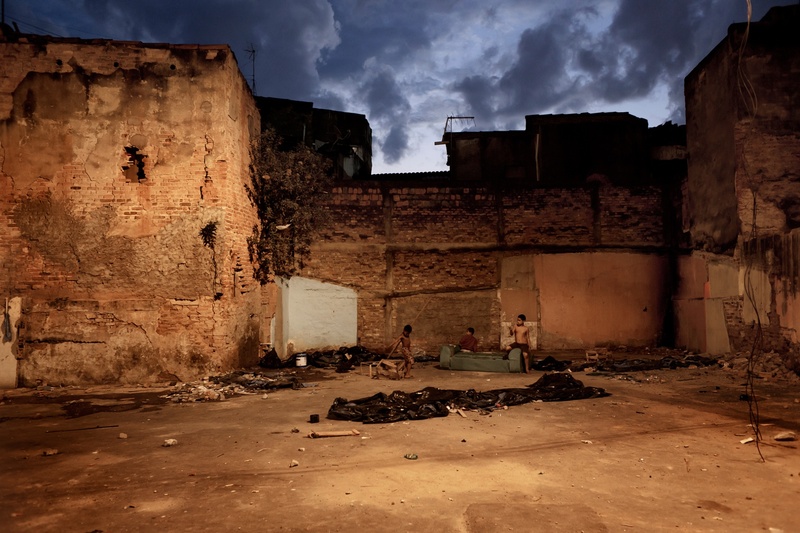 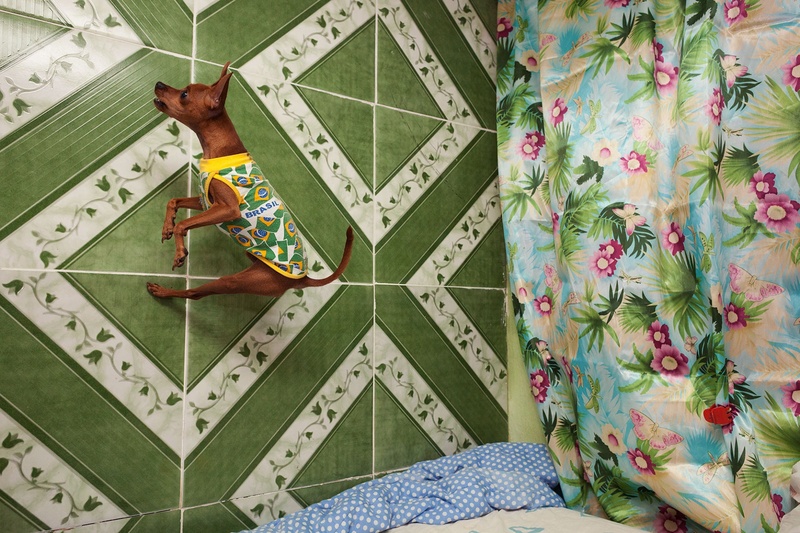 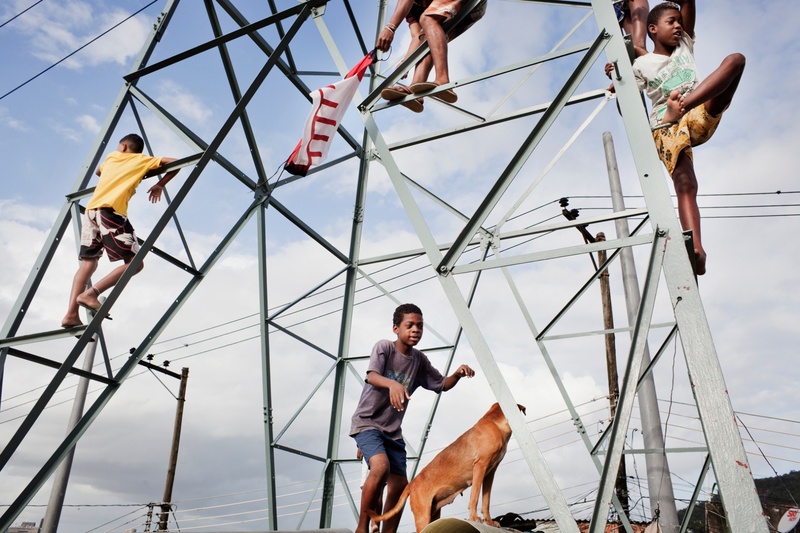 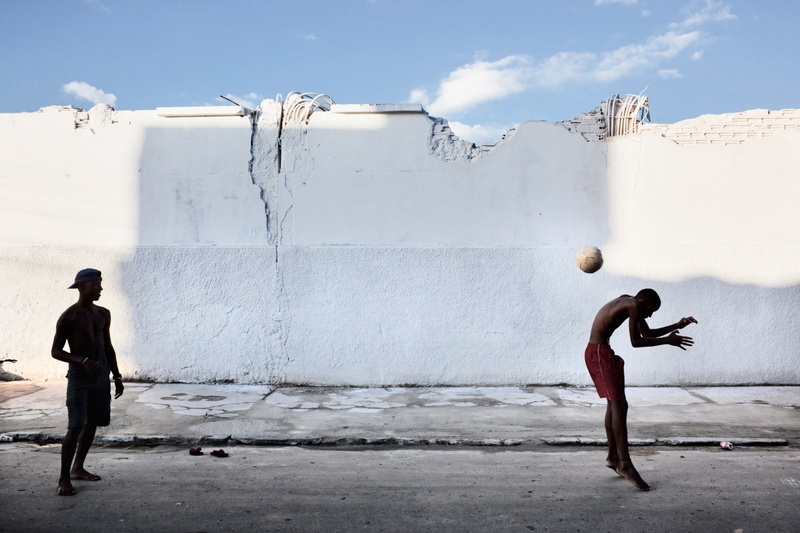 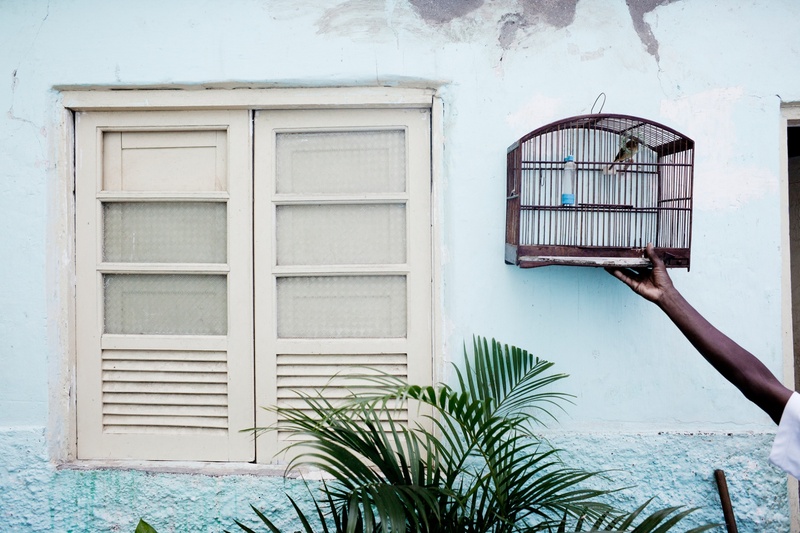 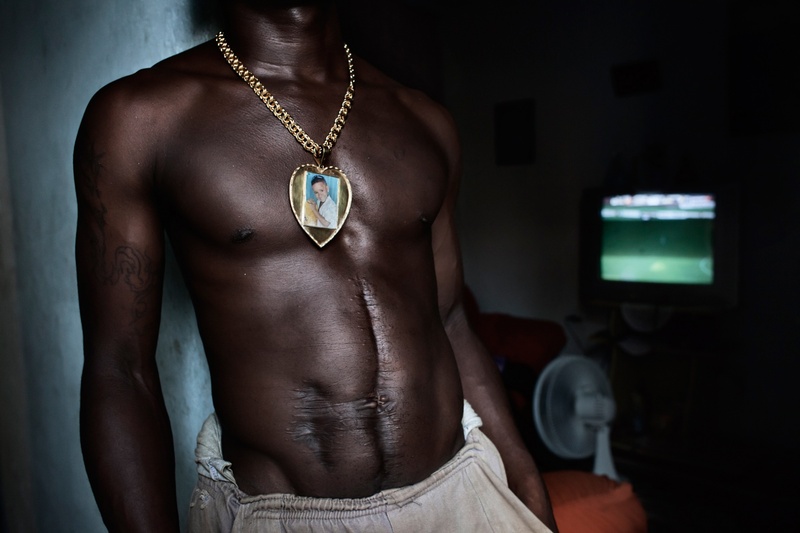 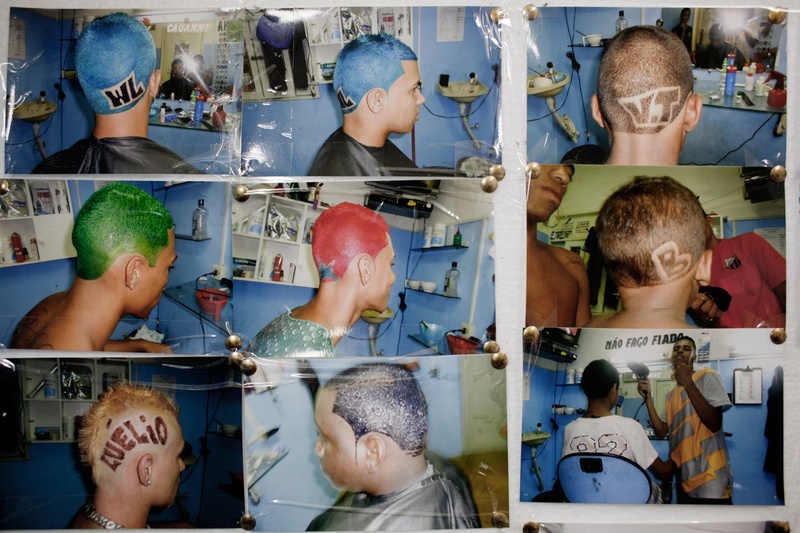 For the project Jesus, Make-up and Football I documented the life of people living in these pacified favelas.